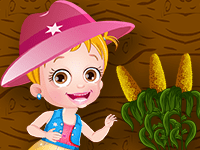 "Harvest Time Is Here Again" is a joyful and perfect song for children to sing and enjoy during the harvest time. Kids learn to grow vegetables including carrots, radishes and more in their kitchen garden. Enjoy watching the mesmerizing video of this kids' song and learn the tune and lyrics!